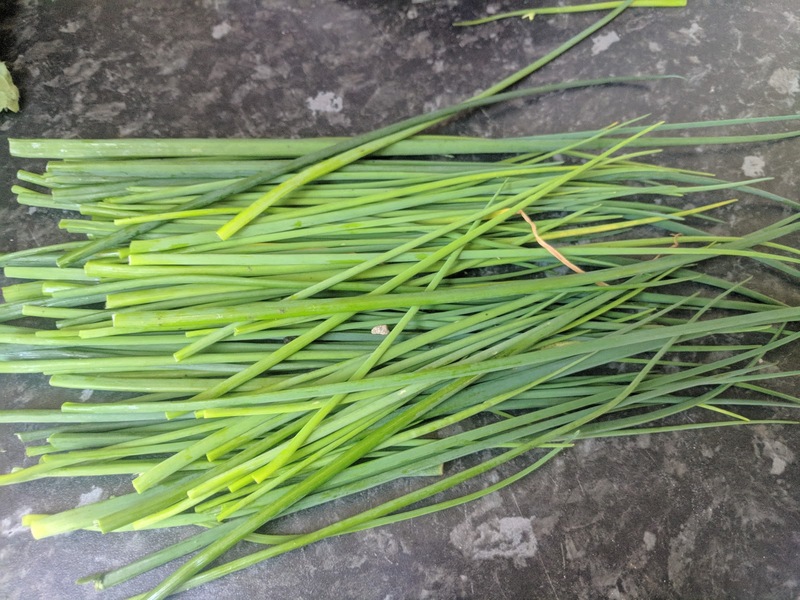 I love the idea of being able to grow enough food on my allotment to be completely food self-sufficient, but I've no idea yet if that's actually possible given the amount of land I have. Finding out will be a slow process, I think, and there's joy to be found here that's absent from the kind of meticulous planning that might yield answers sooner, and in the meantime I'm more than happy to indulge my passion for herbs. Man shall not live by herbs alone, but this man probably would if he could. 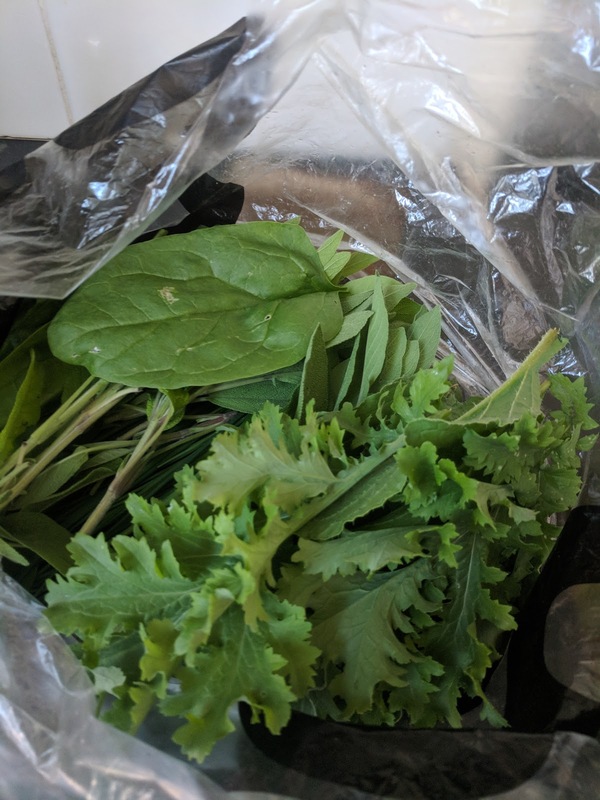 Down on the allotment this evening, another fire smouldering, I gathered this bag of greens, featuring chives, sage, rocket, borage and spinach, which seem to be growing just now at a rate faster than I can eat them (imagine if potatoes were like this). 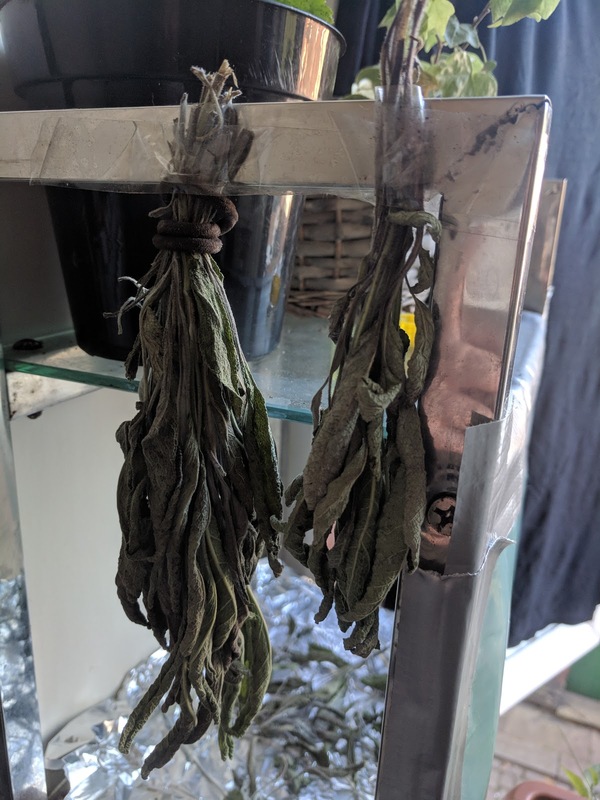 I've been hanging up bunches of sage to dry around my flat. 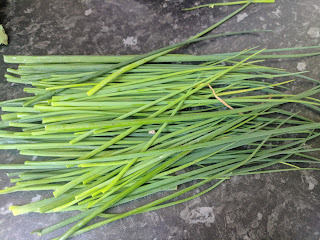 Chives don't seem to want to dry quite so straightforwardly, and paper bags or even oven drying may be required here. 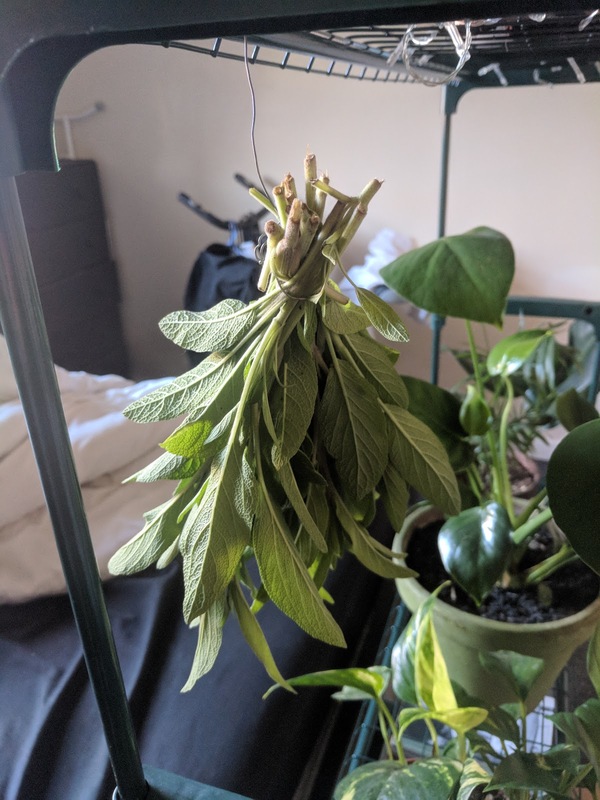 More things to learn. 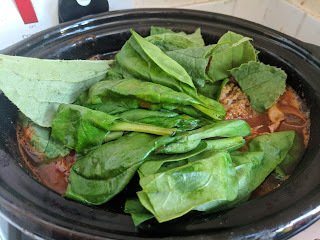 The rocket is almost inedibly spicy, but along with the borage and spinach, I've been throwing it in to the slow cooker to simmer in with my chilli, to very satisfying results. 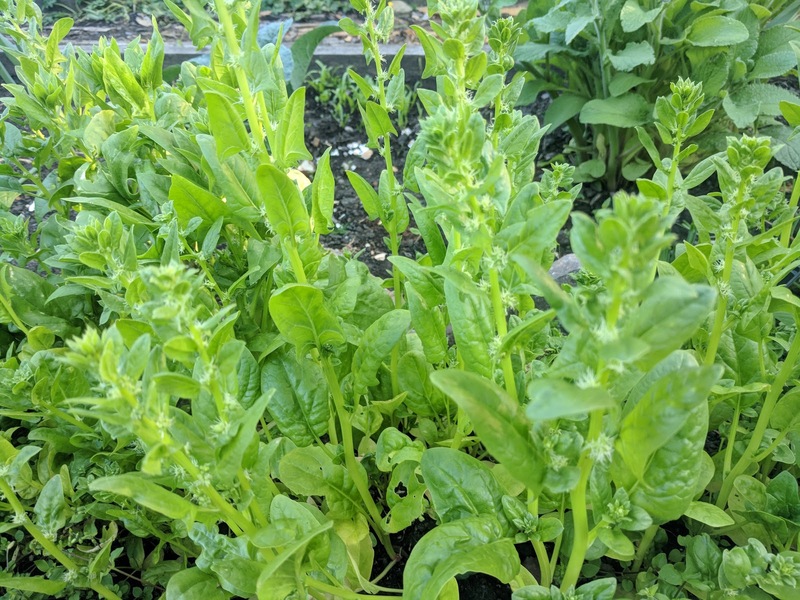 Spinach is great fresh, too. The patch of earlier plants is now bolting, which had given me something else to add to my list of things to learn: collecting seeds. 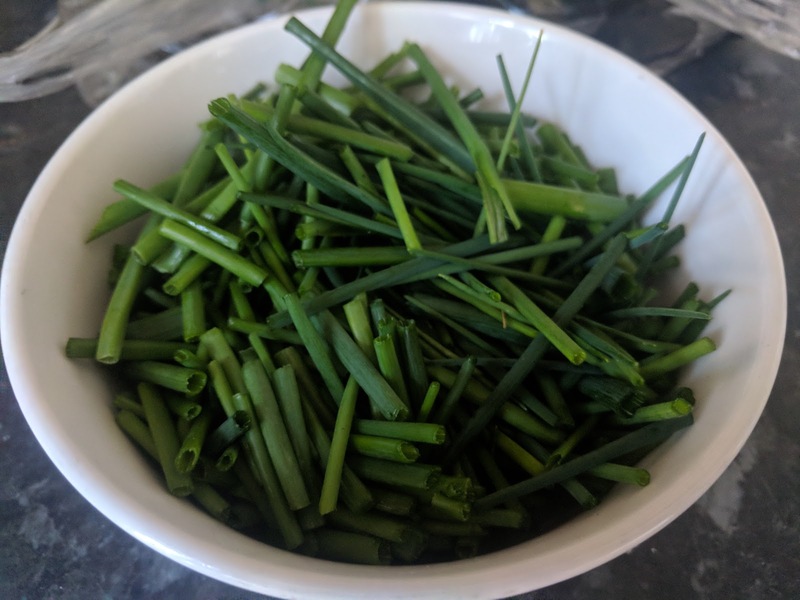 Part of being food self-sufficiency would involve being able to harvest enough seeds from one year's crop to plant the next one. No doubt possible, but something about which I know next to nothing. Head down, mouth open, belly full.